As a teenager in Chicago, Goldberg sat in with Muddy Waters, Otis Rush, and Howlin' Wolf. He played keyboards in the band supporting Bob Dylan during his 1965 newly 'electrified' appearance at the Newport Folk Festival. He formed The Electric Flag with Mike Bloomfield in 1967, and later formed the Barry Goldberg Reunion in 1968. Goldberg's songs (some of which co-written with Gerry Goffin) have been recorded by many musicians including Rod Stewart, Gladys Knight, Joe Cocker, Steve Miller, Bobby "Blue" Bland, Gram Parsons and B. J. Thomas. Goldberg's first professional recording session was "Devil With The Blue Dress On" / "Good Golly Miss Molly" by Mitch Ryder & the Detroit Wheels. Among the albums he contributed to are Leonard Cohen's Death of a Ladies' Man, The Ramones' End of the Century, The Flying Burrito Brothers' The Gilded Palace of Sin, andSuper Session which featured Michael Bloomfield, Stephen Stills, and Al Kooper. In 1992 he played keyboards with the Carla Olson & Mick Taylor band, which resulted in the live CD Too Hot for Snakes, featuring the talents of artists like Ian McLagan, and Jesse Sublett, and John "Juke" Logan. In 1994, Goldberg and Saul Davis produced Blue Night by Percy Sledge, which featured Bobby Womack, Steve Cropper, Mick Taylor, Greg Leisz, Bob Glaub, Ed Greene, Mikael Rickfors, the Waters... and songs written by Rickfors, Gregg Sutton, Pat Robinson, Carla Olson, the Bee Gees, Quinton Claunch, Fats Domino, and Otis Redding. By 1999, Goldberg co-produced with Saul Davis and had also produced albums by Musselwhite, James Cotton, the Textones, featuring Carla Olsen and "People Get Ready" by Bob Dylan from the Soundtrack of the Feature Film "Flashback". In 2002, he was featured on the Bo Diddley tribute album Hey Bo Diddley - A Tribute!, playing piano on the songs "Pills", "I'm A Man" and "Before You Accuse Me". (produced by Carla Olson). Carla also produced Barry's "Stoned Again" album which featured Denny Freeman, Mick Taylor and Ernie Watts. 2004: Shining Through The Rain by Percy also co-produced by Davis and Goldberg, featuring Larry Byrom, Denny Freeman, Clayton Ivey, Ed Greene, Phil Upchurch, Bob Glaub, the Waters, Jakob Dylan... and songs by the Bee Gees, Mikael Rickfors, Carla Olson, Jackie Lomax, Earl Carson, Bobby Moore. In 2005-6, he toured with the Chicago Blues Reunion featuring Nick Gravenites, Harvey Mandel, and Corky Siegel. Their debut CD reached #2 on the Billboard Blues Chart and received a four star review from Rolling Stone magazine's David Fricke. On July 7, 2009 Goldberg's self-titled 1974 album was reissued with never before released tracks and a restored sound. 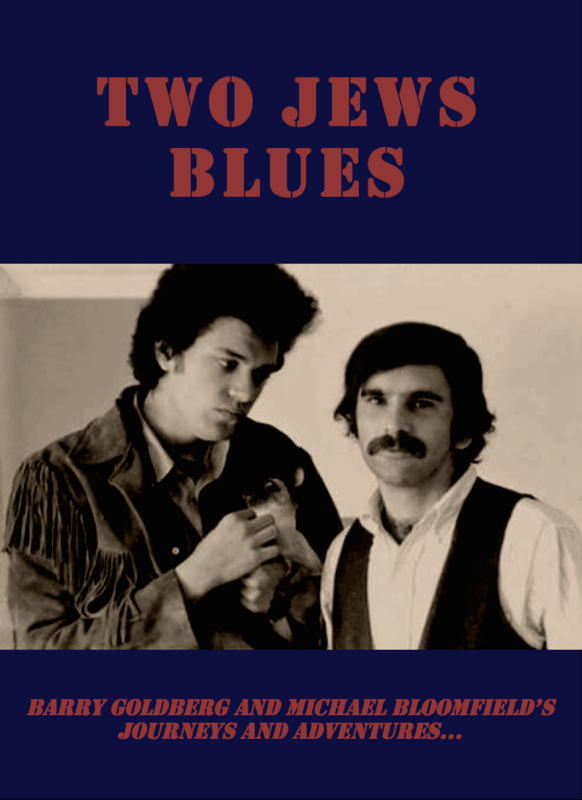 The album was produced by Dylan and Jerry Wexler. In 2012, Stephen Stills recorded Goldberg The Rides with guitarist Kenny Wayne Shepherd, bassist Kevin McCormick, drummer Chris Layton and "Double Trouble" Stevie Rayvon; drummer. Goldberg co-wrote four songs on their first album titled, Can't Get Enough, released that year. The feature track is "Don't Want Lies" which Goldberg co-wrote with Shepherd and Stills. The album brings Goldberg back with Stills, Bloomfiled and Cooper. The long awaited film "Born In Chicago" documenting Chicago blues will also be released soon. It'll premiere at the SXSW Film Festival in March. Goldberg has been working on this project for the last few years. It includes unique contributions by Bob Dylan, BB King, Buddy Guy, Hubert Sumlin, Eric Burdon and many others. "Can't Get Enough," the album by The Rides (i.e., Stephen Stills, Kenny Wayne Shepherd, and Barry Goldberg) was nominated for a 2014 Blues Foundation WC Handy Award for "Best Rock / Blues Album." 2015 update; The rides have just completed their 2nd album, which will be out in the fall of 2015. The long awaited film "Born in Chicago" which documents the great Masters of the Chicago blues including Muddy Waters and Howlin' Wolf et al... and their relationship with the young up and coming blues enthusiasts who learned first hand - from the great artists and how they took their music to the Rock 'n Roll arena. "The blues had a baby and they called it Rock 'n Roll." It has been shown at the SXSW and Lincoln Center Film Festivals and recently the Rock 'n Roll Hall of Fame Induction Ceremony and will have an exclusive screening at the Grammy Museum in early May 2015.